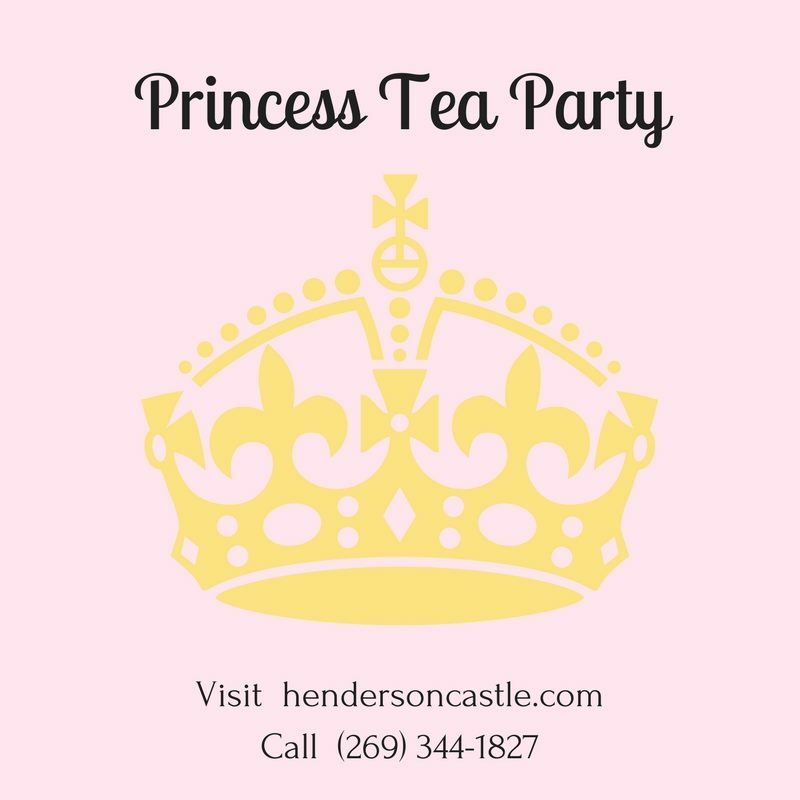 The Henderson Castle has added more fun to our monthly Princess Tea Parties! Welcome to the Castle! Princesses and Princes will come for a Tea Party with You! You and your little princess are invited to join us over tea and magic pretzel wands, dancing and laughing, princess stories and activities! You will be guided through the Henderson Castle on a Princesses' Tour and Prince Charming will tell a princess story for all guests. Little princesses will be able to color their own tea cup to bring home! Other activities for princesses/guests who are not able/old enough to use markers on the tea cups will be an option. Arrive at the Castle prepared for a dainty tea and lots of fun with our special guest Princesses.